In the Asia Pacific, MITRE is working with four nations and 12 aviation industry organizations on a project that uses shared information to identify potential aviation safety issues and address them before serious incidents can occur. In the fall of 2017, with MITRE's support, several Asia Pacific governments and airlines launched a collaborative project that uses data sharing to improve aviation safety in the region. The inspiration for the project is a U.S. data sharing initiative—the Aviation Safety Information Analysis and Sharing (ASIAS) program. 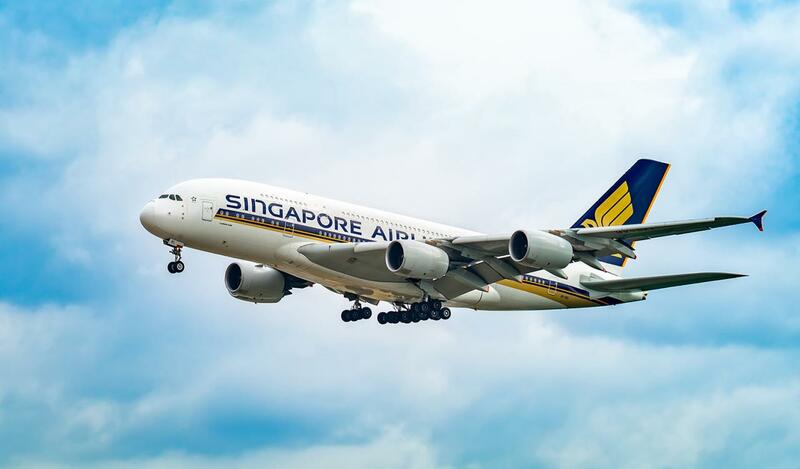 ASIAS (pronounced "A-sigh-us") is credited with dramatically improving the safety of commercial aviation in the United States over the last decade. "We're taking that successful U.S. capability and adapting it to the Asia Pacific context," says Greg Nelson, who heads MITRE Asia Pacific Singapore. We established this state-of-the-art research and development center in 2015 with the support of the Civil Aviation Authority of Singapore (CAAS). CAAS also spearheaded the effort to create an aviation safety data sharing program in the Asia Pacific. In 2013, CAAS commissioned MITRE to evaluate the feasibility of implementing such a program at the regional level. That study examined a variety of factors, such as the availability of safety data and the unique regulatory, budgetary, and technological environments of the different nations in the region. "In the United States, we have a single regulator and air navigation service provider [ANSP]—the Federal Aviation Administration," explains project leader Wallace Feerrar. "But in the Asia Pacific, there is no central regulatory authority. Each state governs and regulates its own airspace, ANSP, and the airlines certificated in that state, so the environment is quite different from the one ASIAS operates in. "That meant we had to take into consideration the unique environments, needs, cultures, and concerns of all the interested parties." After nine months of study, the research team's findings were in favor of a data sharing initiative. Government and industry stakeholders in the region also agreed that a regional data collection, analysis, and information sharing effort would enhance the Asia Pacific's ability to identify safety hazards and develop targeted safety improvements. That finding was the green light for further work. Over the next few years, MITRE worked in partnership with the Flight Safety Foundation (FSF)—an aviation safety advocacy organization with members in more than 150 countries—to develop the framework for an Asia Pacific safety data sharing demonstration project. Because of its expertise in the governance and administration of intergovernmental programs, FSF developed the framework that would govern data sharing among the program participants. Due to MITRE's technical capabilities, previous experience with data sharing initiatives, and not-for-profit objectivity, we were selected to serve as the trusted third party that would analyze the regional information that was collected. We would also disseminate findings and facilitate discussions about potential mitigations. To create the demonstration project, MITRE and FSF worked with Asia Pacific government and industry representatives. The group outlined the program's foundation and principles, set clear participant roles and responsibilities, and addressed issues such as how members' information would be protected and shared, and how program decisions would be made. Asia Pacific government and aviation industry representatives meet to plan their participation in a data sharing program to enhance aviation safety in the region. In 2017, four nations—Singapore, the Philippines, Indonesia, and Japan—committed to participating in and financing the project. At least six other nations have expressed interest in participating as well. Airlines, aircraft manufacturers, and regional trade organizations have also agreed to supply information and subject matter expertise. Created as a demonstration project, the initiative will last three years. During that time, the project will pool results and information from participants and analyze safety issues of concern across the region. It will also provide participants an opportunity to assess and refine the program's structure and benefits. The demonstration project's initial focus is on mid-air collision risk. "Although mid-air collisions are rare, near-misses sometimes occur," Feerrar says. "By tracking those incidents and analyzing the data associated with them, we can better understand why they are occurring and recommend mitigations." To conduct that analysis, MITRE is using a combination of state-provided reports, data airlines have supplied to their regional trade organization—the International Air Transport Association (IATA)—and a global dataset we have compiled over the last several years. "Several years ago, we established licensing agreements with global vendors of Automatic Dependent Surveillance-Broadcast [ADS-B] datasets," Feerrar says. ADS-B is equipment that allows aircraft to broadcast their positions to similarly equipped aircraft and ground stations. "It's pseudo-radar, essentially," he explains. "We now have a three-year archive of that data, and it's helping inform our research in the Asia Pacific." Already, MITRE researchers have identified several mid-air collision risk hot spots that warrant additional study. "These incidents are occurring more commonly at the seams—at the borders between countries in the region," Feerrar says. "Our analysis is ongoing, but we've already begun to identify the traffic flows and the factors in normal operations that are causing these incidents. "By fall 2018, we believe we'll have a more complete understanding of the situation and can make recommendations for some potential fixes."